Process ownership: driving a hiring process (scheduling interviews, making reference checks, etc.) takes a lot of time and somebody in the organization needs to own the process. You can leave no better impression as a company than running candidates through a well-organized and clearly structured hiring process. Ask the right questions: hiring interviews focus too often on the typical standard questions – take me through your CV, what are your strengths and weaknesses, where do you want to be in 3 years, etc. 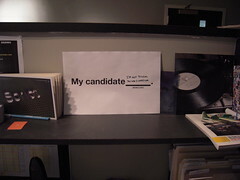 But most candidates are pretty good in answering those questions and you need to dig much deeper. I had some of the best results by putting people in a real-life situation. Coding tests for engineers are pretty standard these days but you can apply this to any position. A potential VP of Marketing should present a analysis of the current marketing strategy, a customer service candidate should write 2-3 sample email responses to customer service problems and an accountant should do some excel work. Involve the team: make sure that all relevant people interview the potential candidates. This usually results in a broader set of perspectives about the candidate and helps the candidate to better evaluate the people he / she will be working with down the road. Be consistent: you will probably interview several candidates for each position and it is important that they all go through the same process (same people interviewing them, same briefs for test scenarios, etc.) so that the results are comparable. Gather input and be clear on selection criteria: I have seen companies that involve multiple people in the hiring process but fail to formally gather their feed-back. It is crucial that you have a formal group debrief once everybody has seen a candidate. This debrief needs to be properly managed so that everybody’s opinion is heard and feed-back provided based on clear selection criteria. Last but not least, use the hiring process to sell your company – the best candidates usually have many opportunities and the hiring process provides a great platform to present your start-up in the best light.